These were the first words of astronaut Neil Armstrong when he became the first human to step foot on the moon, July 29, 1969. There is debate about the exact content of the quote. 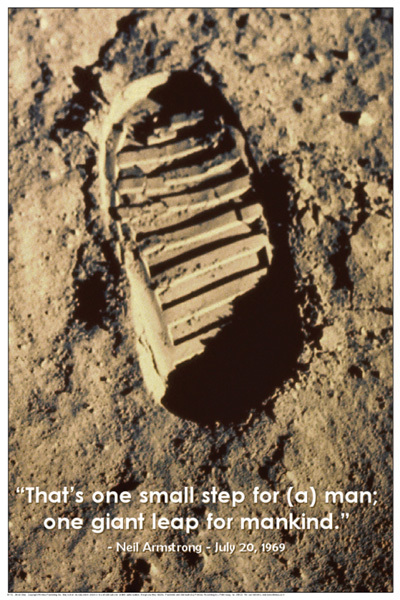 Armstrong maintains that he said "a step" and that the "a" was lost in transmission. The background is a photograph on an astronaut's footprint. Never before has any image so small come to symbolize so much. Get Small Step and Shuttle Blastoff at 2 for 1 price when buying full collection.